"The number of Indian students wanting to do PhD abroad is going down"
Q. The Indian higher education is going through a transformation phase as lots of new things are happening like New Policy is being framed, how do you look at these developments? A. First thing is that I am not a policy expert, I am an academician who also happens to be the Chancellor of a University. What I see is that changes are taking place at the government level to make some of the operations easier and also to make the statutory bodies and their roles more realistic and helpful. Typically they have been controlling bodies and their roles need to change with the changing time as now our role as teachers or instructors have also changed to learning facilitators. Now students have so many sources to pick up knowledge, so how we impart education also needs to change. Q. You have been associated with the ISRO, also been teaching in the US for a long time and there the education system is somewhat research-driven, how do you look at it important in India context? A. If you look at research fundamentally, I always ask my students while doing the research you have to see how it is useful to the society and industry. If you do research then you are looking at something that doesn't exist or you can do better so, in that way you are going to be the leaders, this approach is missing in the Indian system. If we look at China, it is pushing higher education research on all fronts. Q. Is it because they are investing heavily in that? A. One part is that they have got a lot of money to do that, but that is not the whole scenario. If you want to do Post Doc with me, you do not need to pay me anything, my government will support me. There is something like visiting scholar, in which they study one year in their country and then one and half year in the US and then they would go back and get the degree, this is a win-win situation. The process is so good and smooth that I would take good students from the top 100 universities there. The number of Indian students wanting to do Ph.D. abroad is going down. Q. What is the reason? Are they doing it in India? A. Some are doing it in India, but there is another problem. The Silicon Valley success is flashed here, but how many of them are successful? How many students are there and how many of them make it? In My department, which is a major department there are six or seven of Indian origin and in last two years, we hired nine new faculty members. For these nine positions we got something around 200 applications of which only four or five were of people of India origin and out of the final nine, there is none from India. Q. India is investing in aerospace research, ISRO is coming up with innovative programmes, still what is the reason that students are not getting attracted to research at least in aerospace and related area? A. It is not just about Aerospace, the thing is they do not want to spend four years in doing research, as they can get a huge amount of money by getting into the corporate sector jobs. There is need to inculcate the idea of doing research among students and support some, the government is doing that for the top level institutes like the IITs but more needs to be done, we know that we are sort of resources. I have to say this with a pinch of salt that we do not have that much surplus money as compared to China. Q. Is somewhere this problem because our universities are education driven institutions, not research-driven? A. The former President of India during the launch of IMPRINT Scheme asked all the institutions make research part of undergraduate education and let students experience, ‘Flight of Fantasy’. Research is an open ended thing, we do not know where it will start and where it will go. Q. Institutions like SNU were not allowed to participate in IMPRINT, what is the reason as it is just an example as the private sector is not allowed to participate in many initiatives? A. Unfortunately, you see the record, large number of engineering colleges have shut down because of some or the other reason, so when most of that happen that way a typical government guy come across such information he creates an impression that all private institutions are bad. But, that is no longer that case, there are few others and us want to do serious research. 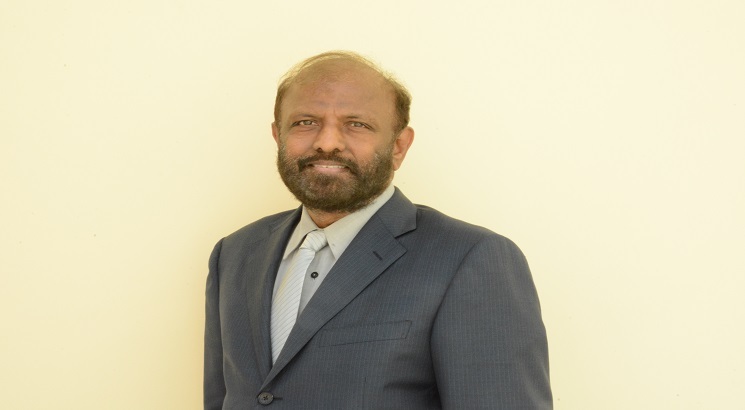 We have invested 100s of Crores in research given by Mr. Nadar (Shiv Nadar). In the US the scenario is such that the private foundations give money to private universities because they are of the view that the public universities have the government money so it is the private ones that require help and support. Now the Indian government has started to give some money to the private sector as well and that is good. The government also needs to come with a monitoring mechanism to monitor the money given whether it is private sector or public sector, to see whether we are producing something out of that money or not. Q. Government is looking to invest in education and creating 20 World Class University, is SNU competing for that? How is that going to help you? A. Yes, absolutely we are competing for that. If that thing happens, then the selected universities will have fewer restrictions. Q. SNU has been established by an industry, how important is the industry-academia collaboration? A. This is very important, look at the example of institutions which have closed down, it happened because the graduated were unemployable, there are no collaborations with the industry. We believe in experiential learning, students do a lot of projects but that would be much better if those projects come from the industry. Students should be able to come with the solutions that industry is facing. Big companies can have large R&D facility but smaller ones cannot invest in research so they come to University, this is the scenario in the west, similar culture has to develop in India which will benefit both the industry and academia. That is missing right now in India and we at SNU are trying to do that. Teachers should also be exciting and be able to open the eyes of the students to think, he should be able to induce some kind of phenomenon and let them imagine that there are a lot of things out there and they should think about it.